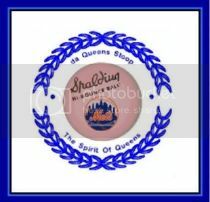 Welcome to "da Queens Stoop" ~ This site has been created for all current and former residents of Queens, New York. Topics concerning the past and present, are always welcome. Please join us! "da Stoop Gang" is confident of our system's ability to protect our message board posts; however, this is not an invitation for people to attempt unauthorized access to the system. This is a private message board that is restricted to authorized individuals. Actual or attempted unauthorized use of our site will result in criminal and/or civil prosecution. We reserve the right to view, monitor and record activity on the system without notice or permission. Any information obtained by monitoring, reviewing or recording is subject to review by law enforcement organizations in connection with the investigation or prosecution of possible criminal activity on the system. If you are not an authorized user of this system or do not consent to continued monitoring, please exit the system at this time. Please note: This message board does not have Archives. If there is a post you want to save, please do so while it is on the board. Once it no longer appears on this board, there is no way of retrieving a message posted.